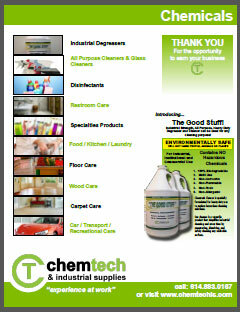 ChemTech Industrial Supplies represents and provides local inventories on hundreds of thousands of products. 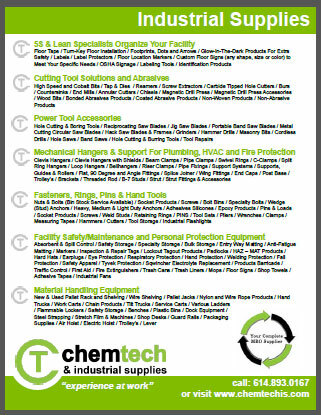 We have segregated products into categories in the left hand column for quick reference. Our product specialists are skilled in the replacement and application of all types and combinations of devices used in your specific facility. We are your resource for determining the most productive and cost-effective solution to your maintenance and production challenges.